Genealogy is not just names and dates on a family tree. 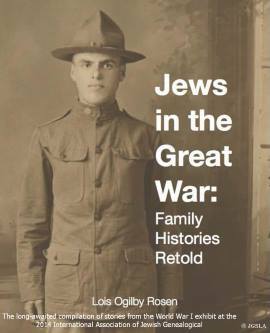 The pursuit of one’s Jewish roots can be a profound experience for the family historian. Some of us are just getting started, other have been toiling at it for years. What have we learned and where are we going? Just as the honey bee arises each morning and thinks it is busy collecting nectar to produce honey, the bee’s more important mission might just be that it is — in the process — cross pollinating the plants in the garden. Arthur Kurzweil, author of “From Generation to Generation,” and known to many as America’s foremost expert in Jewish family history research, will share his observations on the trails we’ve blazed and what the future holds for Jewish genealogists. The JGSLA traveling library, with volunteers on hand to answer your family history questions, will be available starting at 7:00PM. Invite your friends and family to attend this inspirational evening! Reservations are NOT necessary. Parking available in the JCC garage or on the street. Entrance to the JCC garage in only available on San Vicente Blvd. Click here for a map. Often described as America’s foremost Jewish genealogist, Arthur Kurzweil’s name has become synonymous with Jewish genealogical research. 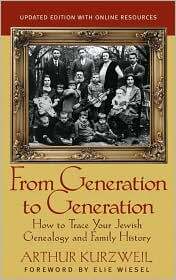 His highly praised book, From Generation to Generation: How to Trace Your Jewish Genealogy and Family History, has become known as the definitive guidebook to the field. A co-founder of the very first Jewish Genealogical Society in the 1970s, Kurzweil is also the author of The Encyclopedia of Jewish Genealogy as well as My Generations: A Course in Jewish Family History. A member of the Society of American Magicians, Arthur performs his show, “Searching for God in a Magic Shop” to Jewish groups in the United States and Europe. 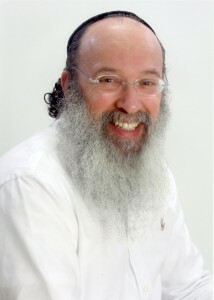 Arthur has received a Lifetime Achievement Award from the International Association of Jewish Genealogical Societies. Parking: You may park in the WJCC parking structure, located in at the rear of the building. Important: Entrance into the JCC parking lot is only available on San Vicente heading west. You can also park on the side streets (please read parking signs) and you can be dropped off at the front entrance on Olympic Blvd. There are handicapped spaces in the structure. Please follow the directions below to the entrance of the WJCC parking structure. From Fairfax heading South: Turn left onto San Vicente and go east to Curson. Make a U-turn at Curson and make sure to go into the farthest right lane to enter the service street (separated from the other lanes by an “island”). Drive a hundred feet or so and turn right into the alley marked with the sign that reads “Westside Jewish Community Center Parking” and then turn right into the parking lot. Park in the covered parking structure or drive up the ramp to upper level parking. From Fairfax heading North: Turn right onto San Vicente and go east to Curson. Make a U-turn at Curson and make sure to go into the farthest right lane to enter the service street (separated from the other lanes by an “island”). Drive a hundred feet or so and turn right into the alley marked with the sign that reads “Westside Jewish Community Center Parking” and then turn right into the parking lot. Park in the covered parking structure or drive up the ramp to upper level parking. From Olympic heading East: Pass Fairfax and turn right onto Curson heading south. Turn right onto San Vicente Blvd and make sure to go into the farthest right lane (separated from the other lanes by an “island”). Drive a hundred feet or so and turn right into the alley marked with the sign that reads “Westside Jewish Community Center Parking” and then turn right into the parking lot. Park in the covered parking structure or drive up the ramp to upper level parking. From Olympic heading West: Once you pass Hauser (just west of La Brea), look for Curson and turn left on Curson heading south. Turn right onto San Vicente Blvd and make sure to go into the farthest right lane to enter the service street (separated from the other lanes by an “island”). Drive a hundred feet or so and turn right into the alley marked with the sign that reads “Westside Jewish Community Center Parking” and then turn right into the parking lot. Park in the covered parking structure or drive up the ramp to upper level parking.